Step 1. 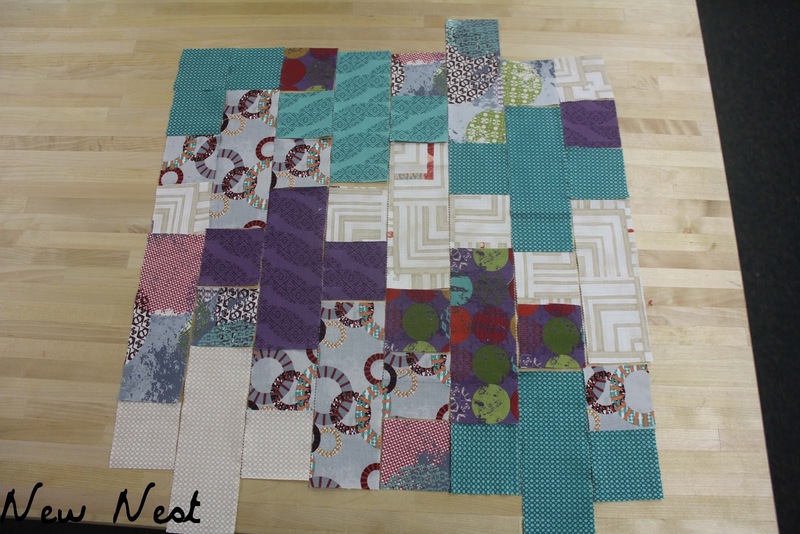 Select 8 strips for your tote exterior panels. 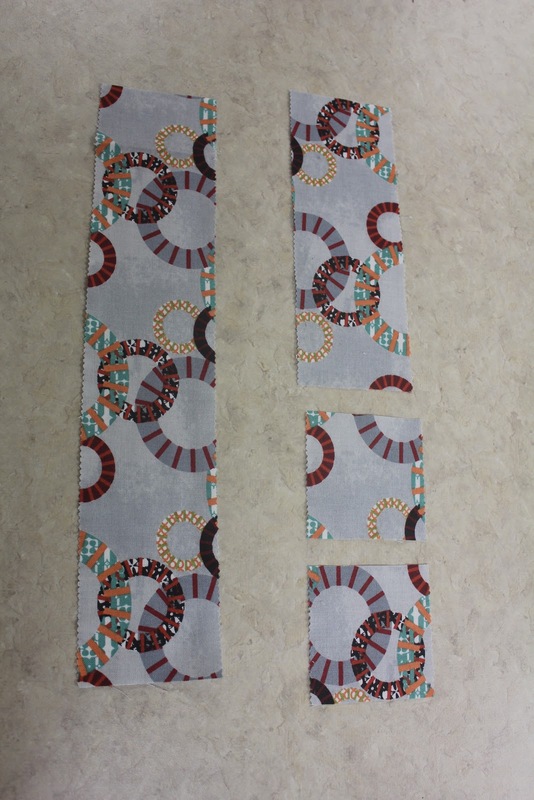 Cut each Jelly roll strip into three 11.5 ” segments. If you prefer a scrappier look for your tote, select 24 different 11.5” segments of 2.5” strips. Step 2. From each 11.5” segment cut one 6.5” rectangle and two 2.5” squares. Step 3. 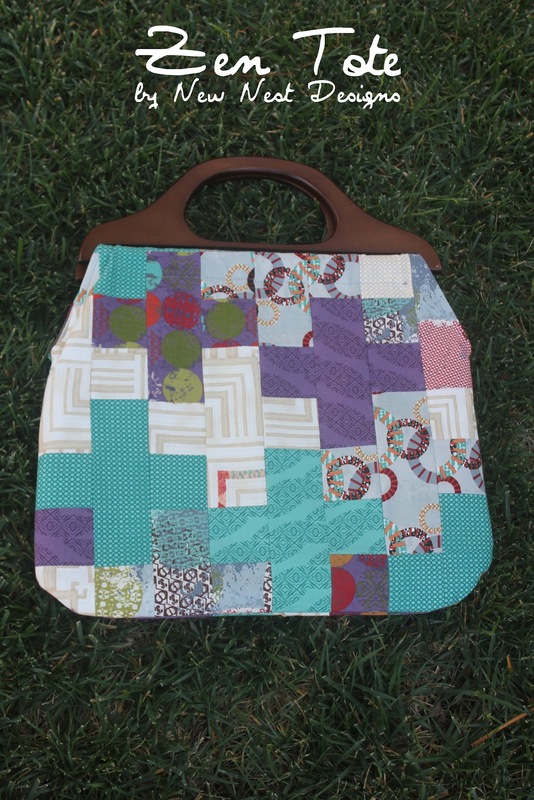 Arrange your tote exteriors. Create the plus sign layout by overlapping the squares as shown and alternating squares and rectangles across columns. Step 4. Continue to build your layout until you have a square made from 8 columns. As you get to the top and bottom of your columns, you may have pieces of rectangles that extend beyond your panel and will require trimming. Once you have an arrangement you are happy with, sew together the patchwork to make the exterior panels. Step 5. 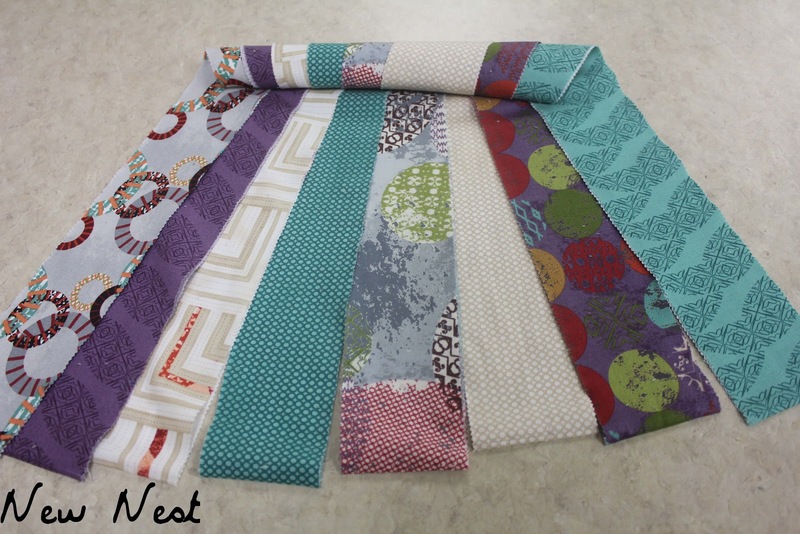 Line the exterior panels with fusible or sew in interfacing and trim to 16.5” square. 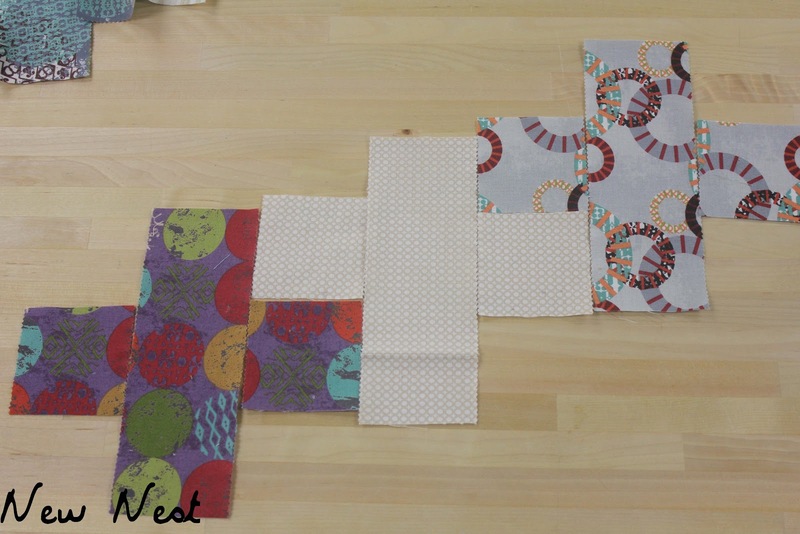 Next cut two 16.5” squares from your lining fabric. Shape both exterior and interior panels by rounding the bottom corners and narrowing the top 6” of the square to fit the width of your wooden handles. Step 6. 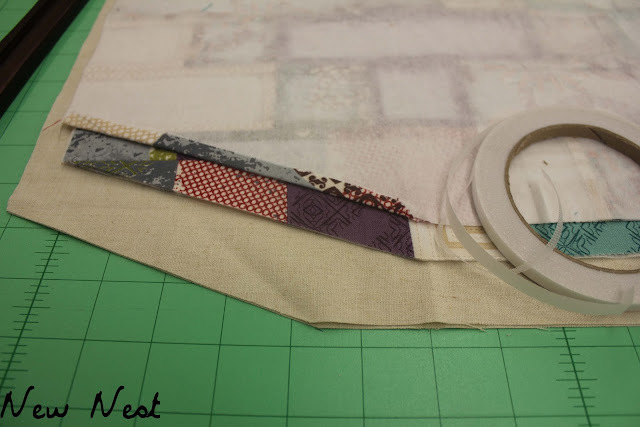 Use your double sided fusible tape to fold down a ¼” seam along the 6” which you narrowed to accommodate the wooden handles for the left and right side of all panel pieces. Step 7. 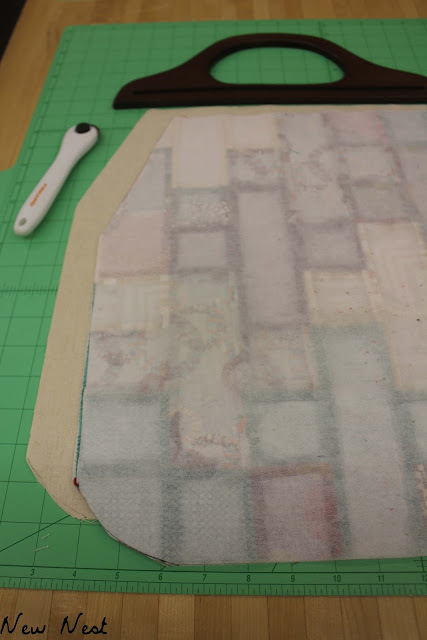 Sew the exterior panels, right sides together beginning from the bottom of the narrowed seam on one end and ending at the bottom of the narrowed seam at the other end. 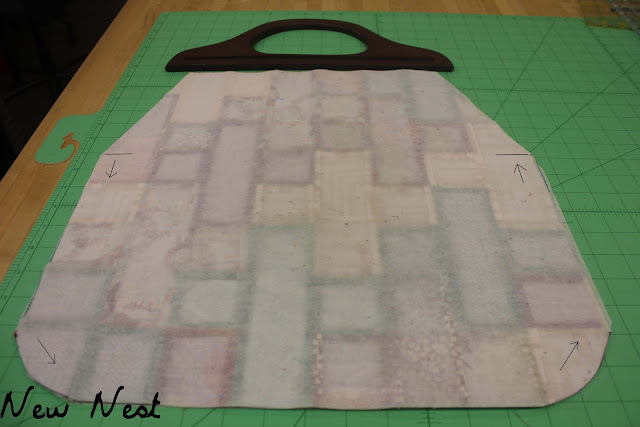 Leave the top 6” of the panel which you’ve folded over with fusible tape open. Repeat this step with the interior panels right sides together. Step 8. 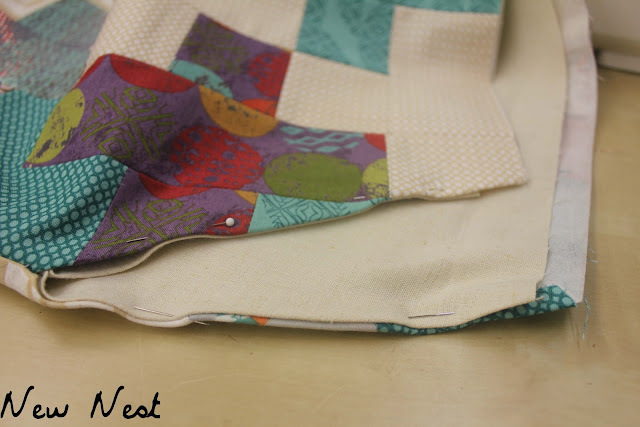 Turn the exterior of the tote right side out and place the lining inside. Align the seams which have been fused together and topstitch all around to secure the lining to the exterior of the bag. Step 9. 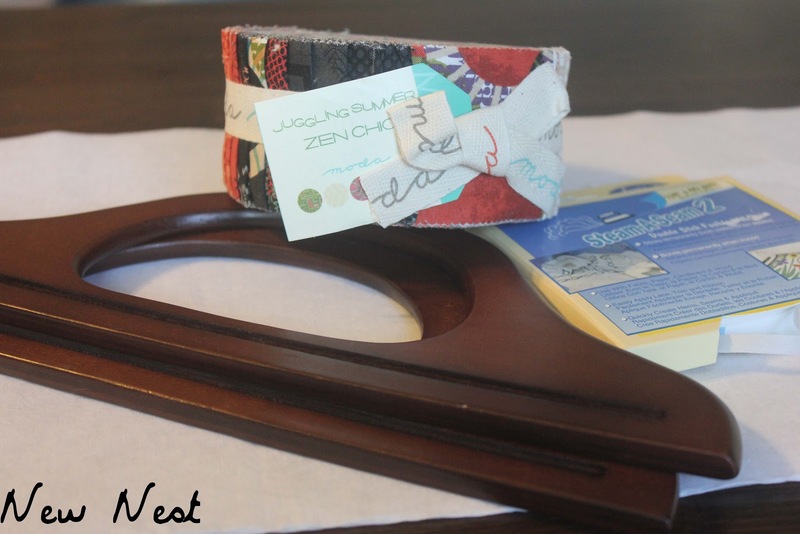 Bring the top of the bag through the opening of your wooden handles about 1” and fold the raw edge under about ¼”. 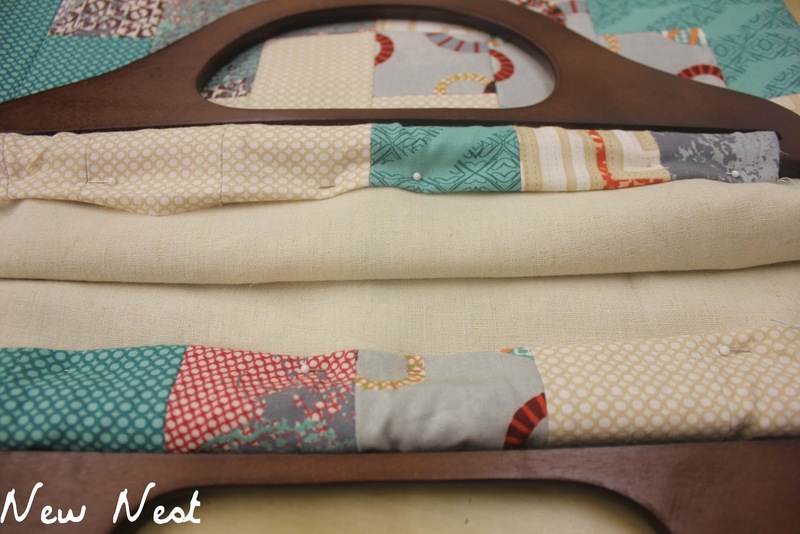 Machine or hand sew in place to complete your tote. 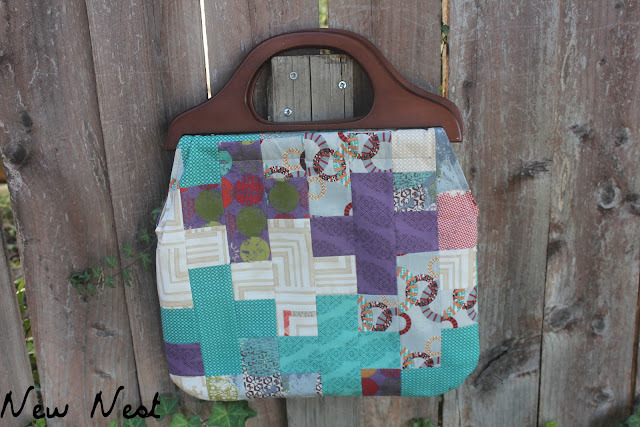 The perfect tote to give or keep for yourself! This entry was posted in Accessories, Bags and Totes, Easy, Events, Jelly Roll and tagged 120-Minute Gift, Juggling Summer, New Nest Designs, Vanesa Correa, Zen Chic.